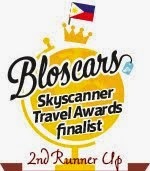 Backpacking Pilipinas: From the Philippines to the World:Thank You, Salamat! From the Philippines to the World:Thank You, Salamat! On November 8, 2013, an exceptionally catastrophic typhoon ravaged the southern part of the Philippines. Known internationally as Haiyan and locally as Yolanda, this super typhoon was extraordinarily powerful that it's considered the deadliest typhoon ever recorded in history, leaving in its wake an estimated death toll of 8,000 people, hundreds of thousands of families displaced, and a widespread devastation to agriculture and infrastructures. Days after Yolanda left the country, we were all glued to the news casts shocked as heart-wrenching tales of loss and survival started to figure in the tube. The once verdant Visayas mountains were reduced to brown denuded lands-- everything flattened, misery spelled in so many levels. In the rubles of pain and grief rose the indomitable courage to survive and the selfless spirit to help. Days after Yolanda, relief aids started to arrive in the disaster zones, soup kitchens were set up at Villamor Airbase to provide temporary relief to the victims fleeing the affected areas, fund-raising campaigns were initiated left and right, and people from all walks of life went out of their way to help (cash and in-kind donations, and some offered prayers). This disaster, while enormous as to the extent and gravity, brought the Filipino people together. And I have never seen so many people with the sheer desire to help as what I've witnessed in the wake of Typhoon Yolanda. It was overwhelming, too moving to be sitting still and not do something. We were not left alone in the middle of this national struggle. The surge of relief came from the international community. Humanitarian aid and supplies from many countries started trickling from the key cities moving down to the remote municipalities. Help arrived to many people, and help came in various forms. Three months after the disaster, much is still to be done, the true rebuilding efforts are still underway. But for now let's thank everyone for the massive love and support. To all the unsung heroes, government workers, international volunteers, foreign and local media, and private individuals, who have extended immense help to the Yolanda survivors, thank you! To the international volunteers who never left us during the most critical times, thank you! From the Philippines to the world, maraming salamat! *The short video above is for everyone who helped in the rebuilding efforts. It's the global message of gratitude...Thank You! **Video credit to the Department of Tourism.